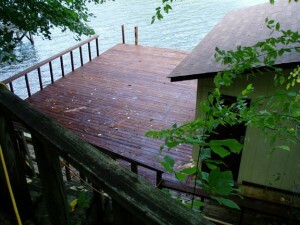 The property includes a nice boathouse with a large dock. Views up, down and across the lake from the large dock are wonderful. 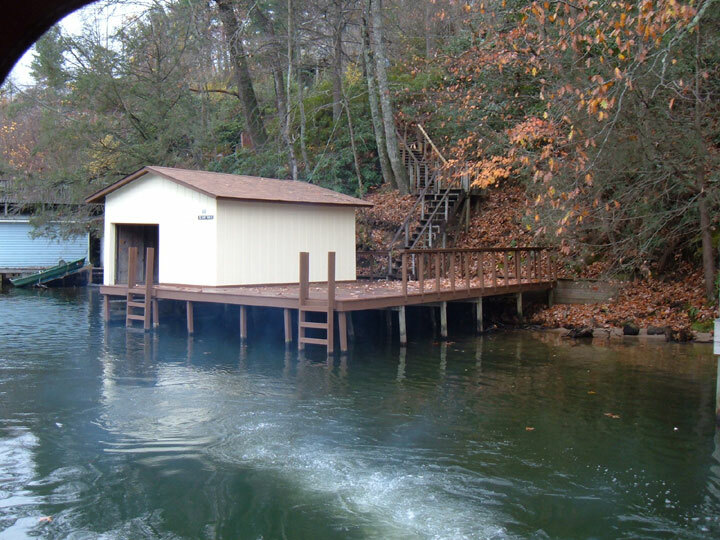 The boathouse will hold an 8 foot wide boat and has a sliding door on the waterfront side. The entry door is lockable. 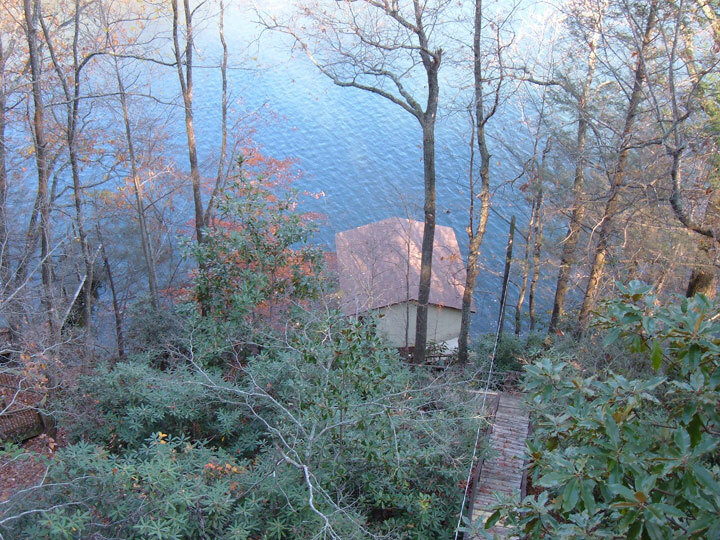 The boathouse can be accessed from the main house via a set of stairs. It takes about 2 minutes to go from the house down to the water and a little more than that going back up. If you don’t want to walk down the stairs you can drive to the city dock, park, and have someone pick you up in a boat. You are welcome to bring your own kayaks or canoe or motor boat. You will need to get a permit from the city to use them on the lake. The city has a website at the following link. 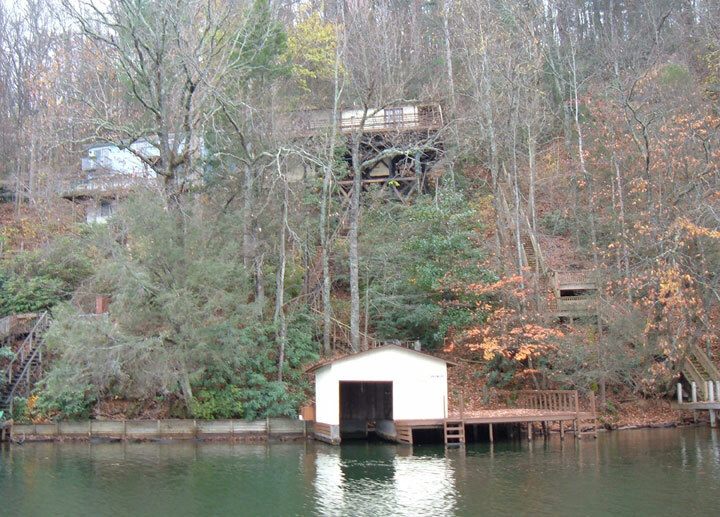 Picture above is of the boat house and cottage from the lake. Stairs connect the house to the boat house and dock.